Delta Air Lines will officially retire its jumbo Boeing 747 fleet in December. Later that same month, the airline will pass the baton to a smaller, twin-aisle Airbus A350 XWB. 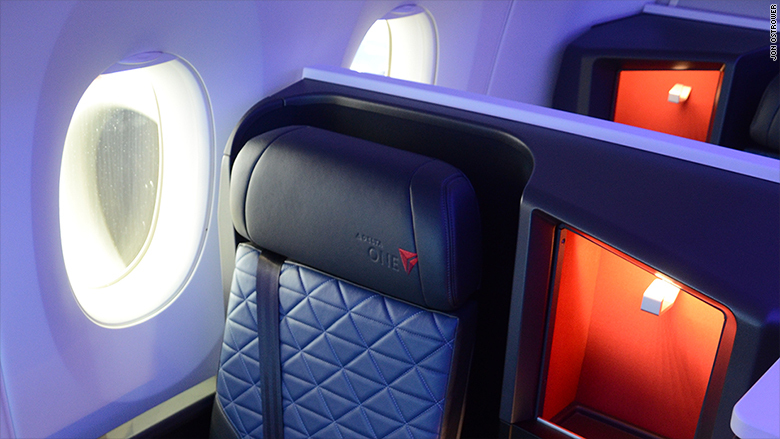 Delta (DAL) is the first U.S. airline to bring the new Airbus jet into operation. And with arrival of the A350, Delta is overhauling its long-haul business class, introducing premium economy and new economy class seats. In fact, the airplane was built around the seat. Delta picked the design for 'Delta One' even before it had purchased the A350 when it was still deciding if it wanted Boeing or Airbus jets for its flights to Asia. The business class seat features a first for a U.S. airline - a fully closing door. 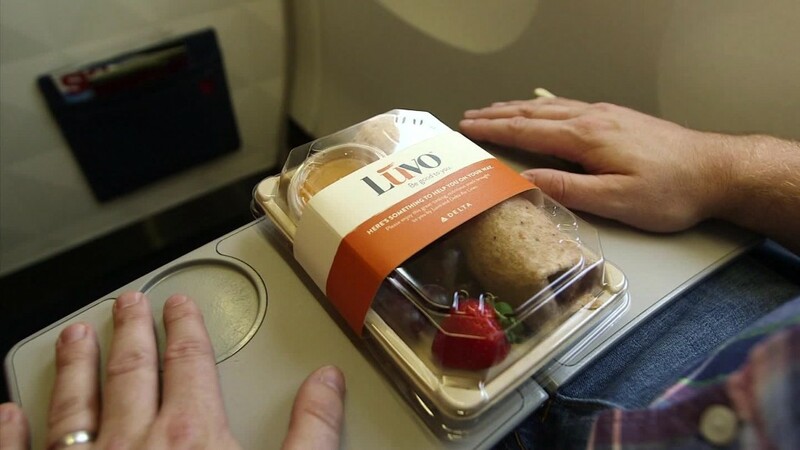 The goal is more privacy for travelers and increasing the distance between Delta and its U.S. rivals, while taking on Middle Eastern and Asian carriers who have long had a better reputation for passenger-pleasing seats that eclipsed spartan U.S. cabins. The airline firmly believes that it will command a premium from travelers for the new class, so much so that it is adding $250 on each leg flown on the A350 to the price of a business class ticket. The arms race to provide business travelers has airlines trying to one-up each other. 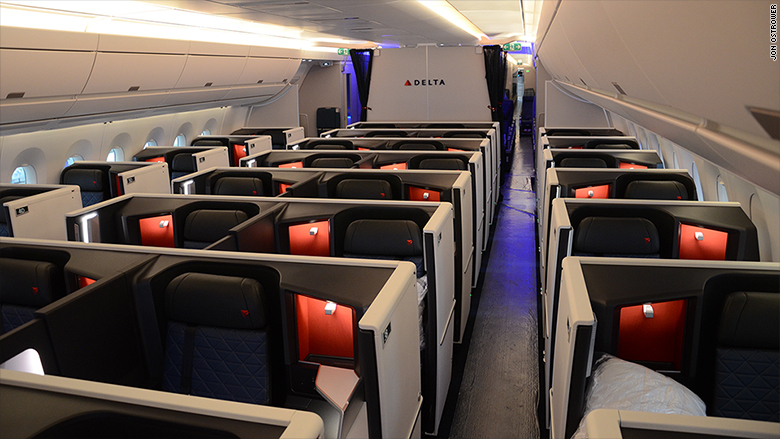 Delta, when it announced the closing door in August 2016, it was the first carrier to bring the feature to business class. 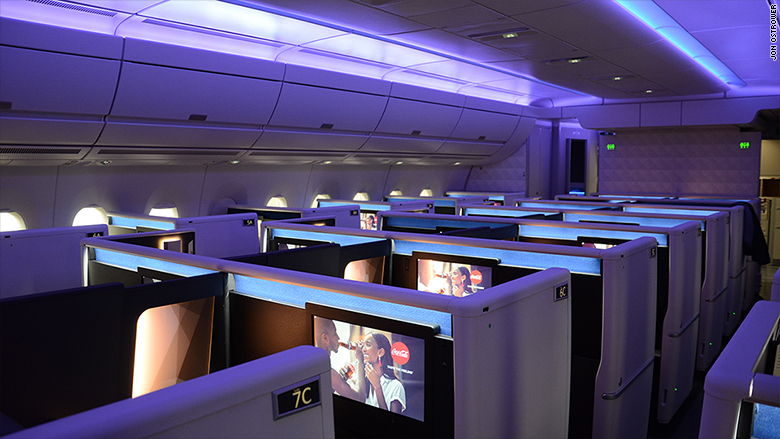 But archrival Qatar Airways in March pulled back the curtain on its own 'Q Suite' with ample space and a closing door and introducing it to passengers this summer.